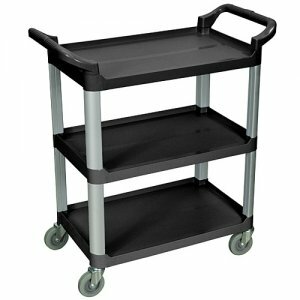 3-Shelf serving / product transport utility cart is the perfect blend of storage capacity and maneuverability. Includes a 1 inch lip on both sides and the back to help control contents. Shelves are spaced 12 inches apart for easy loading and unloading. 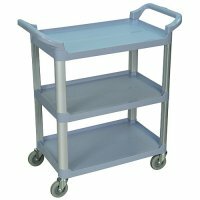 Constructed of durable polypropylene plastic to resist scratches, chips and dents. 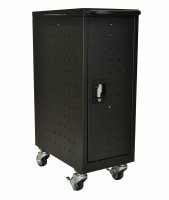 Durable and light weight aluminum uprights provide excellent stacking strength. Easy to assemble.